Milton, GA – On May 14th a burglar broke into a Freemanville Road home and stole several thousands of dollars worth of the homeowner’s possessions. The intruder stole several pieces of jewelry, computers, ipads and tools. He also stole 11 weapons including both long guns and hand guns. The burglar also stole the homeowner’s passports, birth certificates, social security cards, and debit cards. Law enforcement officials related that one of the debit cards was used at a Kroger store in Woodstock. On a positive note, one of the stores security system cameras managed to capture images of the suspected burglar. Police have asked the public to respond anonymously to Crime Stoppers at (404) 577-8477 if they have any information on the subject. Don’t become another Atlanta area crime statistic. Protect you home, possessions, pets and family with a high quality ADT security system from American Guardian, Georgia’s oldest and most trusted ADT Authorized Dealer. For over 20 years American Guardian has been protecting families in the metro Atlanta area. Call them about their FREE camera promotion. 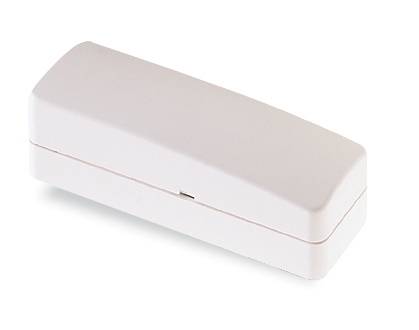 Wireless sensors are installed on all entry doors as well as all windows that you designate. These sensors will activate an alarm response and cause the siren to blare if an intruder enters your home. When your system is activated the ADT 24/7 Command Center will be notified and your local Police will be dispatched to your home. These wireless sensors are available in two different styles to based on your preference. You will save up to 10 to 20% on your homeowners’ insurance. 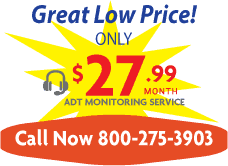 These savings in some cases can pay for the monthly monitoring investment of your system. You will receive this insurance certificate to authenticate your system activation immediately after your system installation.